Here are some panoramic shots of the valleys of the North-West Karnataka I visited during this monsoon. Panoramic view of valleys seen from Jenkal Gudda. And Bhedti river cutting through them. 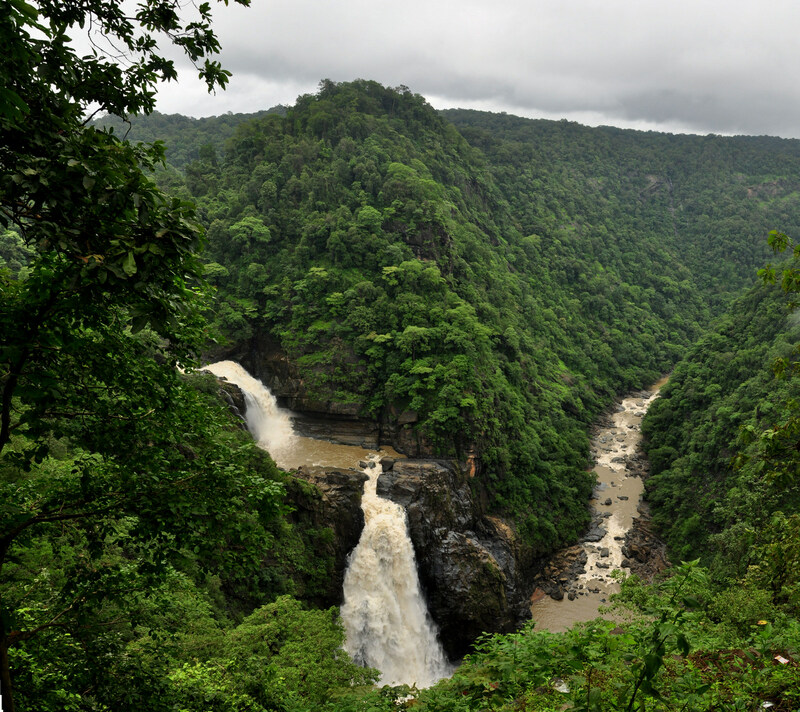 Continuation of the Dudhsagar water fall. Mandovi river flowing into the valley. Railway track cutting through the valleys between Dudhsagar and Castle Rock. Waiting for some more great pics. You have captured nature's beauty at its best. Was nature in Malnad all dolled up to go to a banquet at the Vijaynagar Palace? It looks like that to me. The fourth down is absolutely superlative. If my memory serves me right, we used a similar photograph of Magod in our 2012 greetings card. I am afraid, my memory could be all wrong. The misty falls photograph near the bottom is magical. That is what I used to experience in Bhadravathi on the banks of Bhadra River. Nice photos. Magod is superb...!! Lovely!! :) Nothing like the Monsoons!! 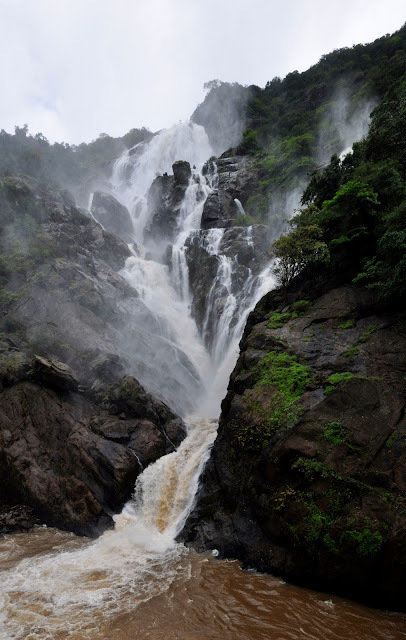 Awesome snaps of Malnad as usual from you. The huge falls of Magod is brilliant! also the blue shade of Kavadi kere... superb captures. Indicates that I have lost touch of Malnad. Need to plan for a trek.